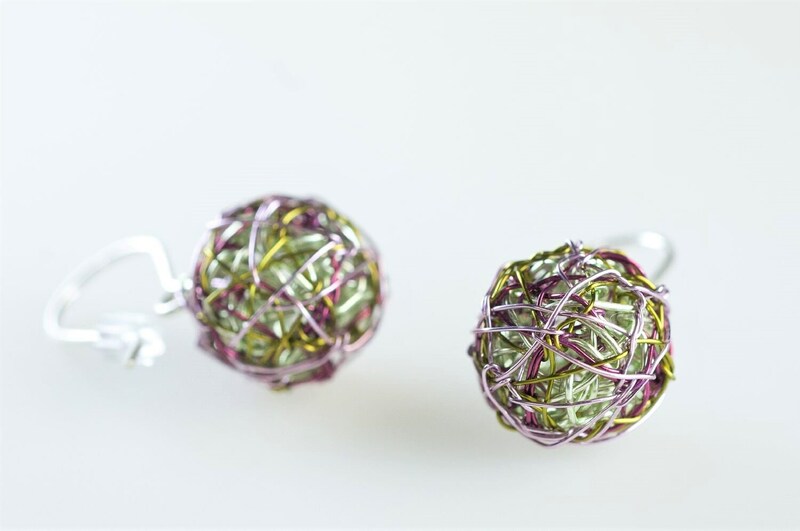 Βall earrings drop, short dangle, handmade ​​of colored copper wire and silver. The diameter of the geometric earring is 1.3cm (0.51in). Clips from which standing the spheres are solid silver. 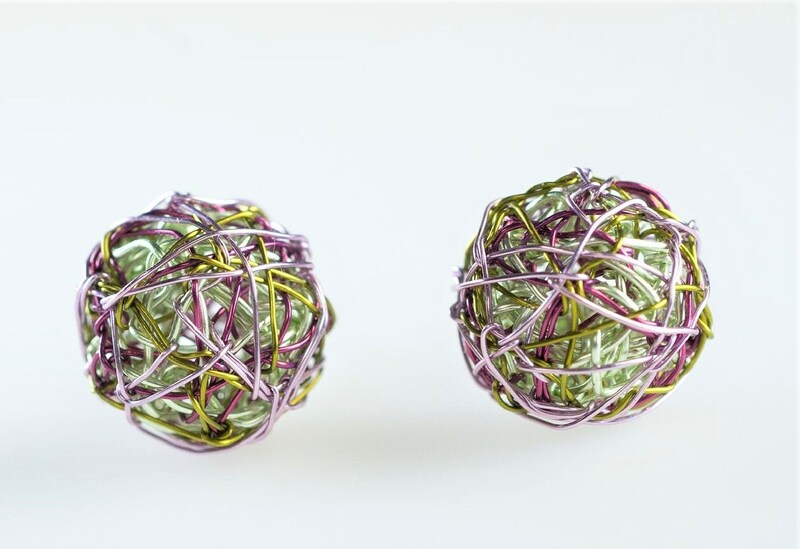 The ball is empty, very lightweight earrings. My “micro sculpture” jewelry evolved from many years of designing large-scale bee and butterfly sculptures. 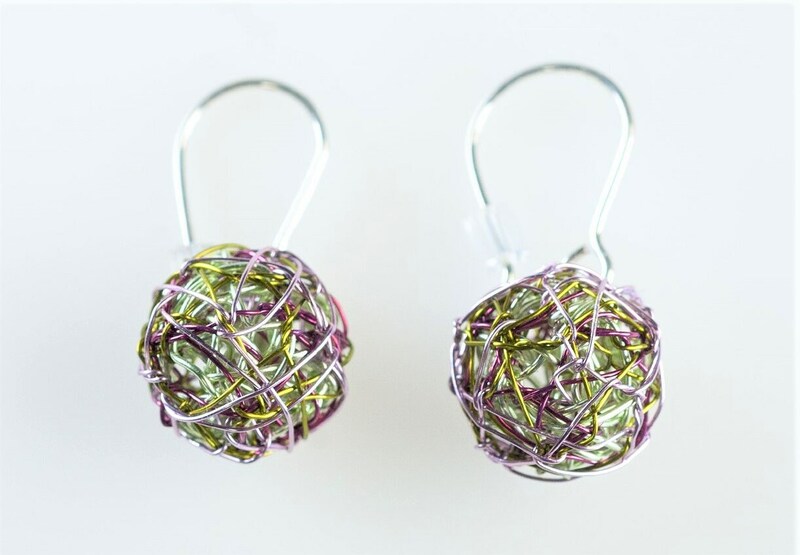 Working with metal and wire, each piece of handcrafted jewelry is completely unique — impossible to reproduce exactly — truly one of a kind. That is the meaning of a true handmade art jewel. 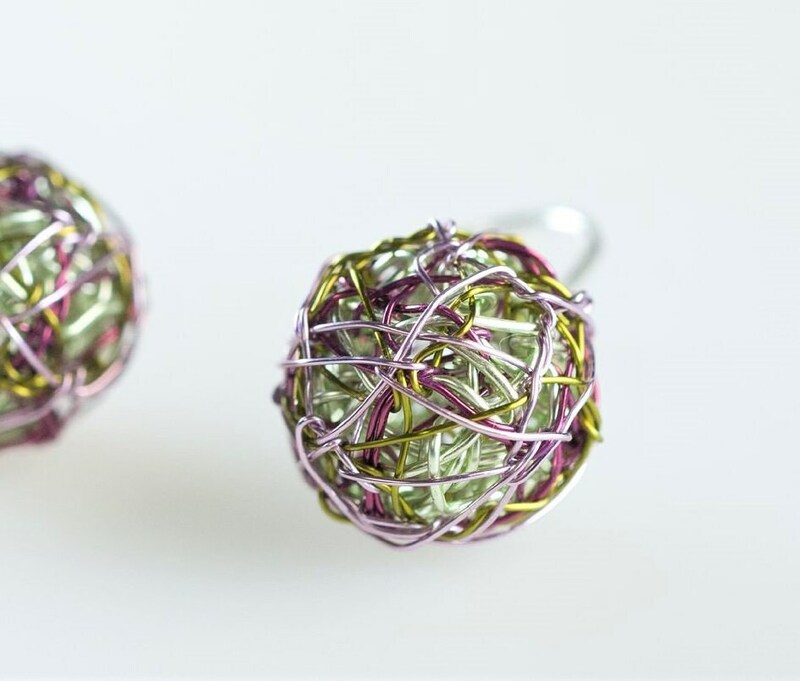 Colored wire is a hypoallergenic material. Highly, resistant to soap, water, and even white spirit, which I actually use to make the colors, shiny. I have put this material to the test for many years! I try to ensure that my photos are accurate, but please remember various monitors will display colors slightly differently, so the color may not match exactly what you see on the screen. If you like a design from the sections of necklaces, pendants, or brooches, (insects, butterflies, flowers, geometric, hearts, and fishes), but you prefer it as a brooch, ring, necklace or earrings, just let me know. The options for necklace and brooch can be together. For more earrings take a look at my shop section. 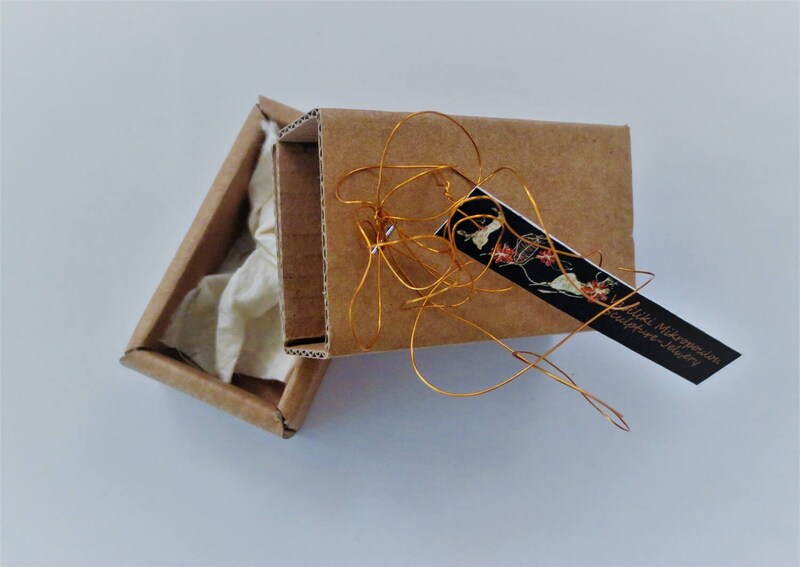 Every jewelry has a small wire BM, which means it has been created by me and comes with gift package in handmade or Plexiglas boxes and bags made from recycled paper. Different colors and dimensions, more solid gold or solid silver are available, so don't hesitate to discuss with me, your preference. Ask me to see photos from other ideas made, flowers insects animals etc. If you have any questions I will be happy to help you. Each item has a small identifier that has been made by me and comes with gift package in handmade or Plexiglas boxes and bags made from recycled paper. I am open to discussing custom and personalized orders. It is a pleasant challenge to make new ideas with my unique technique. The prices depend on the quantity and are different for each item.